Has this ever happened to you? While you are enjoying a relaxing picnic in the New Mexican desert, your lunch is overrun by ants: not ordinary ants, but 12-foot-tall behemoths, dripping saliva from their jaws and chittering wildly. You pull your Browning automatic rifle out from underneath the picnic blanket and empty an entire magazine into the nearest ant, but it doesn’t even flinch. Instead, it crushes you between its pincers. Then the ants eat all of your potato salad. You might suspect something is wrong with the idea of giant creatures just by looking at the shapes of animals of various sizes. Insects have spindly legs, little more than toothpicks, to support their weight. Dogs and cats have much larger limbs in proportion to their size, while humans’ are even bigger. 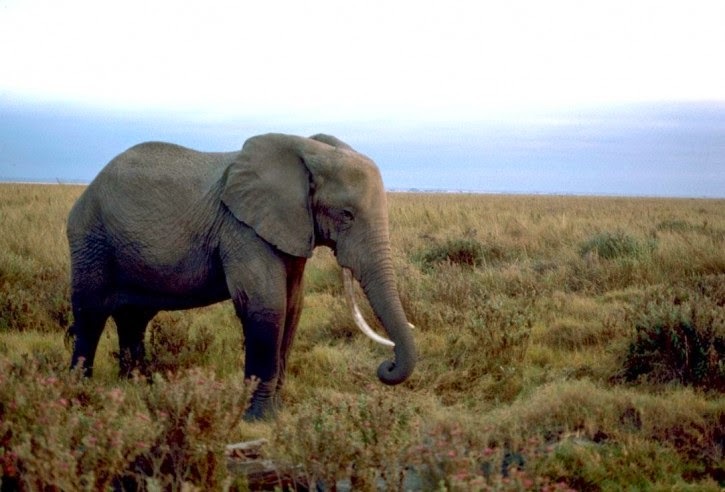 By the time you get to elephants, you find legs that look like tree trunks. So there is clearly something odd going on there. Things get even more weird if you look inside. Insects don’t have lungs like larger animals, but instead take in oxygen through openings called spiracles. The oxygen is then conveyed throughout the body inside a network of tubes. Your lungs, in comparison, form an amazingly convoluted network – if you could stretch them out flat, they would cover half a tennis court. The principle at work here is called the “square-cube law,” and it has to do with the way that volumes and areas change when you increase the size of something. As an animal gets bigger and bigger, its volume and weight go up as the cube of its length, but its surface area goes up only like the square. Why does this matter? Because most of the requirements of the animal, such as food and oxygen, scale as the volume of the animal, while many of the things that enable it to survive depend on its surface area. So in most cases, being smaller makes life easier, and large animals are constantly striving to avoid the bottleneck of having too small a surface area for their volume. Take the size of limbs. When an animal stands upright, its ability to support its weight depends on the cross-sectional area of its legs, which scales like the square of its length. But its weight is proportional to the volume of the animal, which scales as the cube of its length. This means that smaller animals, like insects, can get by with spindly legs, while elephants need legs as wide as tree trunks. The square-cube law is an even bigger problem for internal organs. Respiration and digestion both depend on surface areas. The amount of oxygen you can absorb is limited by the surface area of your lungs, and your ability to absorb nutrients depends on the surface area of your intestines. That's why your lungs and intestines are both incredibly convoluted organs. Not only do your lungs have the surface area of a tennis court, but your small intestine coils back and forth inside your body – it’s more than 20 feet long! But that’s only half the story. At the microscopic level, the surface of the small intestine is composed of tiny finger-like projections that increase the effective area enormously – making it even bigger than the surface area of the lungs. Many of your other internal organs strain against the limit imposed by the square-cube law, doing their best to maximize their surface areas. Your kidneys consist of a convoluted system of cells to extract waste, and even your brain has a folded structure that helps increase the surface area of the outside layer of the brain (the cortex). Any smaller creature suddenly magnified in size would find itself ill-suited to its new dimensions. 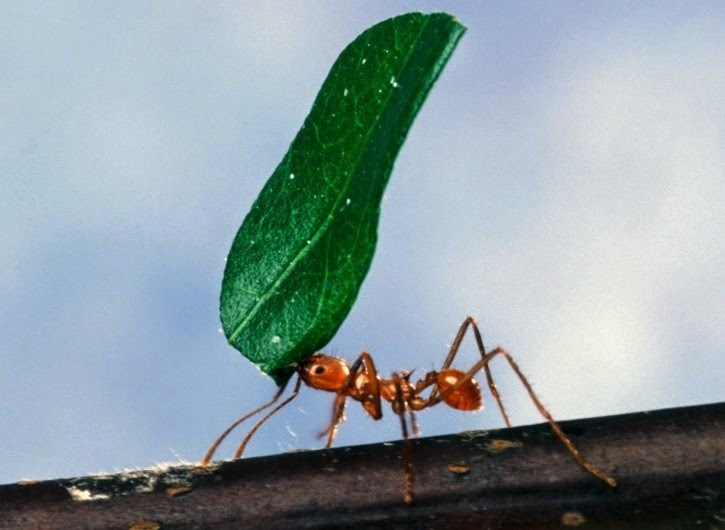 Giant ants would not only collapse under their own weight, but would suffocate from lack of oxygen (and eventually starve from being unable to absorb enough nutrients). Giant bees would never be able to fly, since the surface area of their wings would not increase sufficiently to keep pace with their new weight. And the 50-foot woman? – forget about it. Giant creatures have afflicted mostly film and television, where they thrive in carefree ignorance of the constraints on their existence. Novels and short stories usually adhere more closely to scientific accuracy and have generally avoided such creatures. One clever exception is “giAnts,” by Edward Bryant. In this story, a reporter tracks down a scientist who has been working on a secret project to combat a dangerously mutated race of army ants. The scientist is haunted by the death of his wife, who was killed by a nest of fire ants, and he dreams of the giant ants from Them. The reporter finally gets him to divulge the nature of the secret project: a mutagen will be released on the army ants that will cause them to grow to enormous size, at which point they will die from the effects of the square-cube law. The story illustrates the fictional possibilities of taking the square-cube law seriously, rather than (as in many films) ignoring it entirely. And what would happen the other way around, if a large animal is shrunk (like in the upcoming movie Antman)? I guess that the limbs and organs would be unnecessarily big and costly for such little weight, but it wouldn't be as bad a scenario as for the giant ant, would it? A very good question. This is the plot of "Surface Tension" by James Blish, Fantastic Voyage (the movie), and The Incredible Shrinking Man. I'll talk about this in a future post - there are some interesting physics issues that it raises. The eighties movie Honey I Shrunk the Kids also comes to mind, which also featured "giant" ants, if I remember correctly, but only proportionally to the extremely shrunken kids. Oh, and sorry for the anonymity. I'm commenting from my cell phone and having trouble logging in. Regarding Godzilla -- of course the Japanese were the masters of the giant monster movie. These obviously grew out of the anxieties that developed in the wake of being the only country to suffer an attack with nuclear weapons. "Them" is explicitly tied to nuclear fears - it takes place in New Mexico - the site of the very first nuclear test.